In response to overwhelming evidence that sugars, not fats, are the greatest dietary threat to public health, governments in the developed world are beginning to implement measures aimed at countering the obesity, diabetes, heart disease, stroke, metabolic and hormonal disorders, dental destruction and even the adverse psychological and neurological effects of our sugarmania. The Irish soft drinks industry has pushed back hard against plans to have a new sugar tax up and running by April of next year. They predict it will cut their income to the tune of €60 million annually, and that if the public’s habits do not change (we Irish are among the world’s greatest lovers of soft drinks), it will add about €60 a year to a household’s annual spend. However, the scientific evidence is clear: sugar is very, very bad for us. Most of us in the developed world go through about 70kg of it a year…a far cry from the recommended maximum of about 13kg a year. We as a nation urgently need to cut out most of our sugar intake, and a sugar tax is the first step. Doctors, scientists and politicians see Ireland on track to become Europe’s fattest, least-healthy nation within a decade if current trends do not reverse. Anti-tax advocacy groups – most notably the Irish Beverage Council and the Food and Drink Industry of Ireland – say similar taxes already in place around the world have shown no discernible public-health benefits. So, who’s hitting the sweet spot and who’s just feeling sour? At a glance: Will the sugar tax be a bitter pill to swallow? 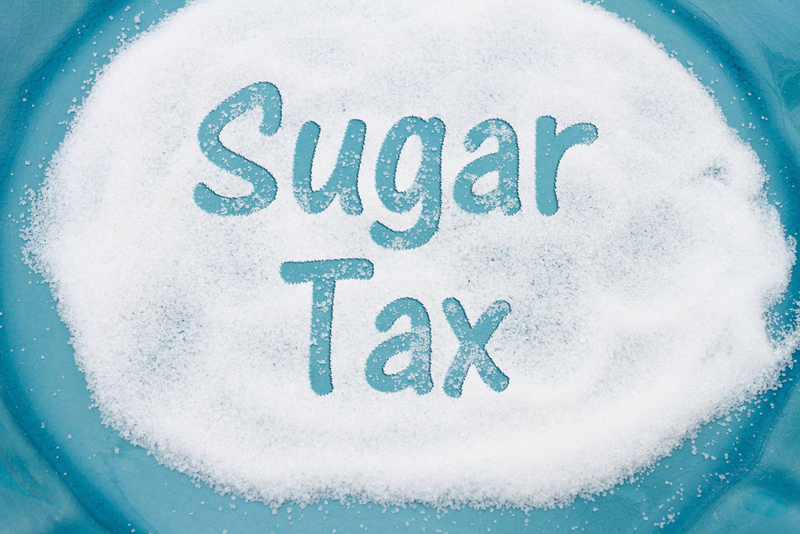 When will the Sugar Tax come into operation? Does this mean my favourite fizzy drink is going to shoot up in price?! “Shoot up” might be a bit strong, though you’ll definitely notice a difference. Even if you really, really love fizzy drinks, the price increase won’t break the bank. For the rest of us, the evidence suggests that we’ll spend smartly, cutting back by just enough to see health benefits and spend the savings elsewhere. What will this mean for my corner shop? If evidence from comparable markets is to be believed, it means your corner shop will sell a little less in the way of fizzy drinks, and a little more in the way of bottled water, teas and infusions, nut-based drinks and milk. This isn’t going to drive anyone out of business. What will this mean for my restaurant? It means that you’ll sell fewer cans or bottles of fizzy drinks, but as they’re not a backbone of your business you needn’t worry too much. As your customers choose to drink less sugar, you’ll be able to judge how much you’re likely to sell and adjust your inventory accordingly. Your spend in the initial phase may well increase slightly, but fizzy drinks last a long time: your stock will regularise. You won’t find yourself suddenly stuck with sweet stuff you can’t shift. What will this mean for the food and drinks industry? They’ll have to move with the times, but for every cent lost to declining sugar sales, they’re likely to pick it up elsewhere. Cutting back on sugar may well end up saving them money in the long run too: we’re surprisingly adaptive in our tastes and industry experience shows that consumers are unlikely to pine for sugar, or even notice a slight lack of sweetness, if products see their sugar content lowered gradually. What will this mean for the economy overall? Less money spent on tackling the profound health effects of a high-sugar diet will mean more money available for spending elsewhere, meaning a gradual but identifiable boost for research, equipment, personnel, infrastructure and more. Fewer sugar-related illnesses (e.g. less diabetes, fewer heart attacks and strokes and improved psychological health) will mean a busier, more productive population, making more and spending more. What will this mean for me as a consumer? Unless you absolutely must drink several litres of fizzy drinks every week, then honestly not that much. Yes, there is evidence that sugar is addictive, but it’s not so habit forming that your life will be ruined without it and you’ll probably consume less without even realising it. You’ll initially spend a little more on fizzy drinks, and then you’ll begin to phase them out in favour of cheaper, healthier alternatives. Eventually, your risk of sugar-related illness and mortality will reduce. You’ll save money on medical expenses and dental expenses, and spend elsewhere.